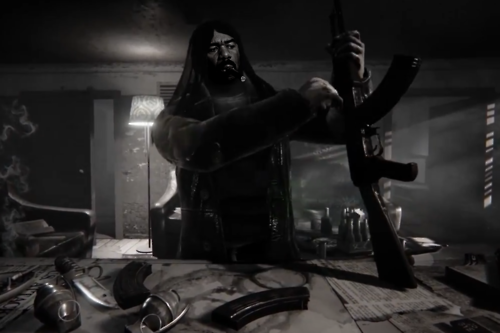 Earlier today, the extremely controversial shooter Hatred was put back up onto Steam's Greenlight program. This comes right after the game was taken down from Greenlight on Monday due to it apparently receiving widespread attention which Steam and Valve didn't like . Hatred has had mixed emotions thrown at it ever since the launch trailer was released back in October and it seems as if the topic is gaining a lot more attention now because it's being showcased on Steam Greenlight. 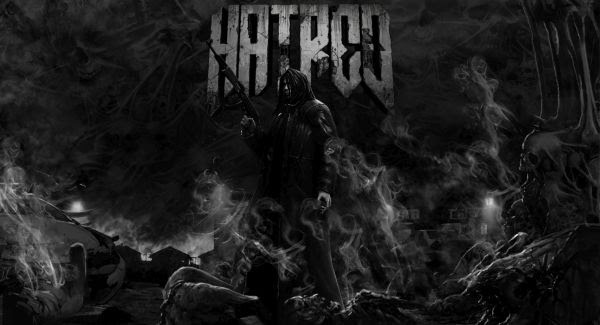 For anyone who is not familiar with this game, Hatred is an upcoming shooter which focuses on an unnamed character who hates all of humanity with a very strong passion. It is being developed by Destructive Creations and is aiming for a 2015 release. With information given to us from the launch trailer, it looks as if the main character is tired of living his life the way it is and wants to go out with a "bang". The game allows the user to control the character and unleash a barrage of bullets on anyone and everyone they can find which brings up the idea of mass murder. The game was initially revealed back on October 16th with a very dark and gloomy launch trailer. The protagonist gave a short statement at the beginning of the trailer which gave us a bit of an introduction into his world. My name is not important. What is important is what I'm going to do ... I just ****in' hate this world. And the human worms feasting on its carcass. My whole life is just cold, bitter hatred. And I always wanted to die violently. This is the time of vengeance and no life is worth saving. And I will put in the grave as many as I can. It's time for me to kill. And it's time for me to die. My genocide crusade begins here. The reasoning behind the initial removal of Hatred does not seem like a valid reason to many gamers. After the game was removed from Steam Greenlight on Monday, a spokesperson from Valve said, "Based on what we've seen on Greenlight we would not publish Hatred on Steam, As such we'll be taking it down”. It seems as if Steam and Valve both thought the game was gaining too much negative attention so they decided to take it down. In return, Destructive Creations released their own statement saying, "Even though games like Manhunt or Postal are still available on Steam we of course fully respect Valve’s decision, as they have right to do so. In the same time we want to assure you that this won’t in any way impact the game development, game’s vision or gameplay features we’re aiming for. The game is still to be released in Q2 2015 as planned". The decision to remove the game caused a small outburst in the community. Gamers argued that games such as Manhunt and Postal are both still up for purchase on Steam even though they are both similar to Hatred in the sense that both of these games include an unnecessary amount of gore and both include senseless killing. The anger expressed by the games grew when they brought up the fact that Hatred was taken off the Steam Greenlight showcase and the entire point of the Steam Greenlight is to showcase new games and to have the community vote on what games they would like to see for purchase on Steam. Gabe Newell, managing director at Valve had an internal review on the decision regarding the removal of Hatred from Steam Greenlight and ultimately decided to put it back up for showcase. In a email sent to Jaroslaw Zielinski, the Chief Executive at Destructive Creations, Gabe Newell states the following. Hi Jaroslaw. Yesterday I heard that we were taking Hatred down from Greenlight. Since I wasn't up to speed, I asked around internally to find out why we had done that. It turns out that it wasn't a good decision, and we'll be putting Hatred back up. My apologies to you and your team. What do you think? Do you think it was a good idea to remove Hatred to begin with? Will you be looking forward to purchasing this game? Leave your thoughts below.